Marina And The Diamonds combines self-styled DIY artistry, retro and pop-­‐culture influences, black humour and effortless spectral vocals to weave a deeply personal narrative that has given her a large and fiercely loyal fan base. Her debut album, The Family Jewels, was certified Gold and gained Marina a grand international following. Electra Heart, Marina’s second album, was an instant UK number 1, generating over 3 million single sales. 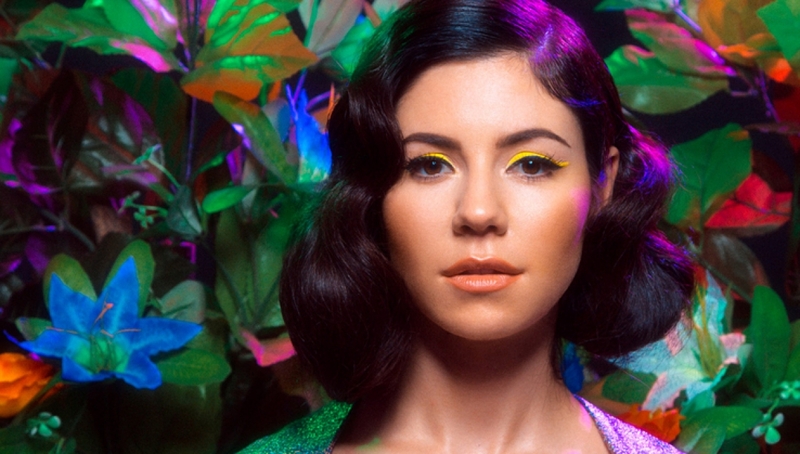 Combined with her stellar tours, Marina is soaring towards becoming the “great artist” she has always aspired to be. Please note stage times may change without notice.